As you may have noticed, it’s made of a bunch of links and dates of when the post has been published or modified, all written in an XML format. Each time you publish a new post, its “link” and its “published date” will be added to the file. Also, each time you modify a page or a post, the “last modified” time changes. This way, search engines will easily find your website’s new content and will be notified if some of your website contents have been changed. And so, they will send their crawlers to index your pages. Web crawlers are like mini-programs whose function is generally crawling and indexing web pages. What is a Good Sitemap? A good sitemap is dynamic, it changes automatically whenever something has been changed or added. 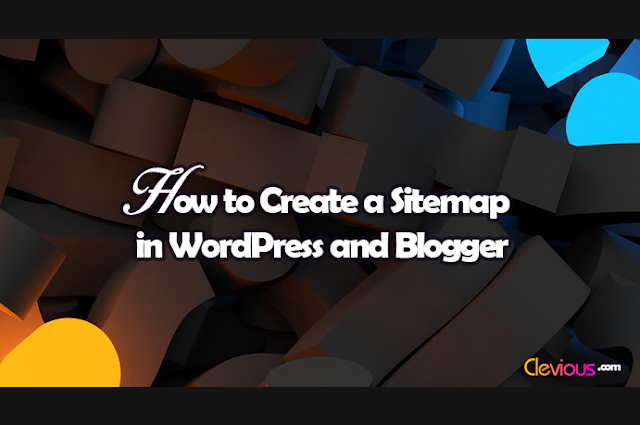 Therefore, it's important to create a dynamic sitemap without relying on other websites which, generally, allow users to generate and download static sitemaps. If you use WordPress, it’s easy; you just have to find a plugin that creates a dynamic sitemap for you. I suggest that you use Google XML Sitemaps as it is efficient and simple. You can also find other plugins that accomplish the same function such as Jetpack and Yoast SEO. 1. On WordPress Dashboard, hover your cursor over Plugins and click Add New. 2. In the search bar, type: “Sitemap”. 3. Pick any plugin you want. In blogger, you don’t have to make a sitemap because it’s already created. To find your sitemap, type your website’s URL, then add to it: /sitemap.xml. What Comes After Creating a Sitemap? After creating a sitemap, you need to submit it to search engines. Since most internet users use Google and Bing for their searches, it’s important to join the webmaster tools of the two by creating an account on Google Webmaster Tools and Bing Webmaster Tools. 1. On your WordPress Dashboard, hover your cursor over Settings and click XML-Sitemap. 2. On the top, you’ll see the URL of your sitemap, copy it. 1. Join Google Webmaster Tools. 2. Connect to your webmaster tools homepage, click on Crawl, then Sitemaps. 3. On the top right side, click on the button Add/Test Sitemap, add your URL then click Submit.